Hello everyone! Recently the online store Dezzal was kind enough to send me two pieces to style for winter, and one of the items they let me choose was this amazing lace up sweater! 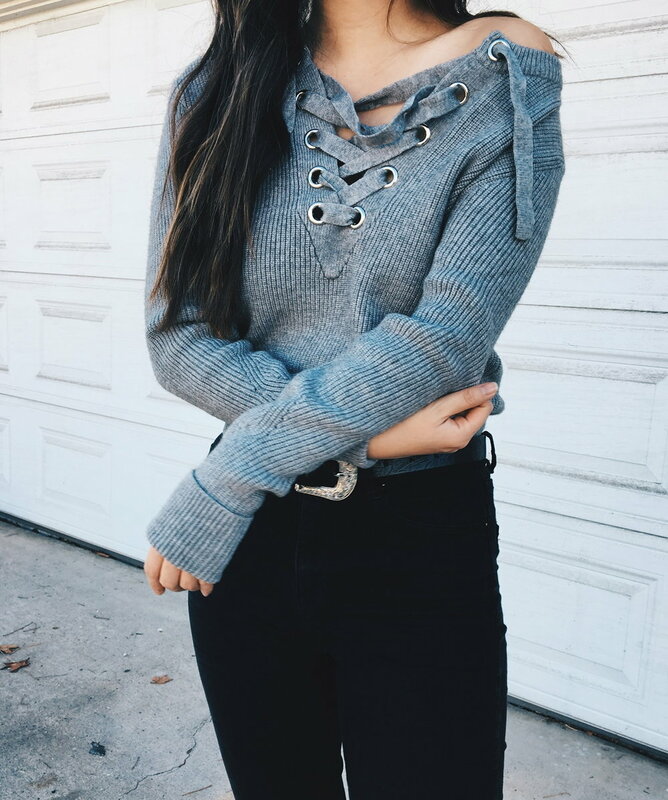 I've wanted a lace up sweater ever since I saw one on Gigi Hadid, so I was really excited when they had this on their website. I kept the styling really simple by just pairing it with high waisted black jeans and black booties. The sweater itself is already so bold with the thick lace up in the middle, that I didn't want to detract from its detail in the rest of my outfit.